Indianapolis, Indiana – An Indiana trademark attorney for Roche Diagnostics GmbH of Germany and Roche Diagnostics Operations, Inc. of Indianapolis, Indiana (collectively “Roche Diagnostics”) filed a trademark infringement lawsuit in the Southern District of Indiana alleging that Polymer Technology Systems, Inc. d/b/a CHEK Diagnostics of Indianapolis, Indiana (“PTS”) infringed the trademarked “ACCU-CHEK“, Registration Nos. 1,277,867; 2,403,536; 2,628,696; 2,651,417; 2,681,644; 2,703,048; 2,732,629; 3,071,846; 3,076,905; 3,127,170; 3,194,287; 3,199,675; 3,202,402; 3,256,740; 3,411,797; 3,481,185; 3,595,149; 3,602,825; 3,609,052; 3,676,782; 3,703,434; 3,991,903; 3,749,950; 4,214,217; 4,230,563; and 4,226,844, which have been issued by the U.S. Trademark Office. The Roche Diagnostics entities are global providers of medical products that help healthcare providers and consumers to prevent, diagnose, treat and manage diseases and other medical conditions. Included in the Roche Diagnostics offerings are products and services relating to diabetes care, including blood-glucose testing, monitoring and analysis. 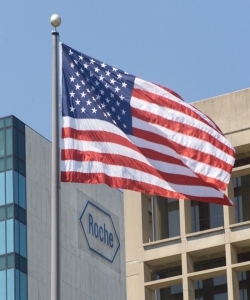 In connection with these products and services, Roche Diagnostics owns and uses numerous registrations for the federally registered trademark Accu-Chek and related marks. Defendant PTS is a manufacturer of point-of-care diagnostic products headquartered in Indianapolis, Indiana. PTS designs, manufactures, and markets products for distribution in over 120 countries around the world and has sales offices in Europe, Latin America, and the Pacific Rim, and manufacturing facilities in Indianapolis, Indiana and Sunnyvale, California. In March 2014, PTS announced that it was making two changes. According to a press release, it would be changing its business name to “CHEK Diagnostics” and would begin offering a line of diabetes-care products, the AICNow® family of products, which PTS had purchased from Bayer Diabetes Care. This new line of products would be offered under the CHEK Diagnostics business name. Roche Diagnostics contends the expansion into this new market, in conjunction with Defendants’ changed business name, violates its trademark rights and is likely to cause confusion, mistake and/or deception as to the source of PTS’s diabetes-care goods. In its complaint, filed by an Indiana trademark lawyer, Roche Diagnostics asserts trademark infringement of its Accu-Chek trademarks under 15 U.S.C. § 1114(1) and § 1125 (a) of the Lanham Act, as well as trademark infringement and unfair competition in violation of the common law of the State of Indiana. Roche Diagnostics requests that the court enjoin PTS from using “CHEK Diagnostics” as a company name or in a manner in any way related to the promotion or sale of diabetes-care products. It asks that the court direct PTS to immediately recall any materials bearing the “CHEK” business name and to order PTS to cancel or modify any pending trademark registrations that include the CHEK name. Roche Diagnostics also seeks monetary damages as well as a declaration by the court that the use of “CHEK Diagnostics” as a company name, or in a manner in any way related to the sale or promotion of diabetes-care products, would constitute trademark infringement and unfair competition under both federal and Indiana-state law. Practice Tip: The protection afforded to a registered trademark is not exhaustive in scope. Among the limits to its applicability are restrictions based on the type of business and product to which the trademark pertains. In this case, while Roche may have declined to object to PTS’s use of “CHEK” in conjunction with the sale of a non-diabetes-related product (here, a cholesterol-measuring product), that failure to object is unlikely to waive its right to assert infringement later if the word “CHEK” is used to market a product that is allegedly related to the product for which Roche Diagnostics owns a trademark (here, the purportedly similar line of diabetes products to be offered by PTS). The suit was filed by John R. Maley and Jonathan P. Froemel of Barnes & Thornburg LLP. The case was assigned to District Judge Jane Magnus Stinson and Magistrate Judge Denise K. LaRue of the Southern District of Indiana and assigned Case No. 1:14-cv-00552-JMS-DKL.